When you upload a photo on CanvasGalleryArt.com, we want to offer you the best quality photo print possible. 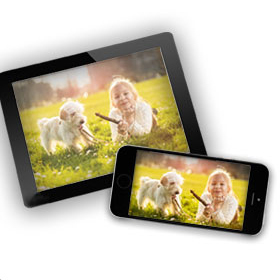 When you upload an image, we'll let you know which sizes your photo's resolution and image size will properly print. If you receive a warning that your image is too small, you can still choose to have it printed. However, to ensure you're completely satisfied with your purchase we urge you to use our system's recommendations. Before printing, each order will be reviewed and if we believe there will be clarity issues with your image, a customer service rep will reach out to you. Prior to upload, review our size guidelines in the upload section if you have any concerns. Click the "Get Started Now" button at the top or the bottom of the page. Then follow the easy step-by-step instructions. We review every order before processing. If something is amiss, a representative from our customer service team will call you to discuss your photos on canvas order. What are the size requirements of my image? Below are the DPI and size requirements for our most popular sizes. 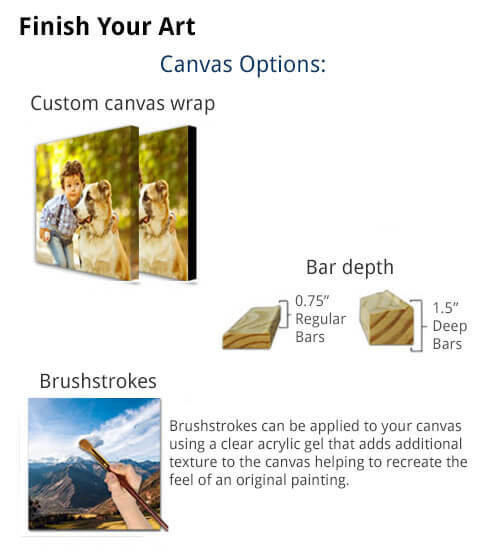 For Gallery Wrap canvas, the minimum resolution required is more similar to the requirements for one size larger as the photo has to wrap around the edges of the canvas. 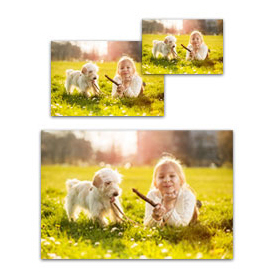 For example, when creating an 8x10 Gallery Wrap Canvas use the guidelines for 11x14 instead. For all other product sizes the below requirements are accurate. I received a warning saying "This size is not recommended for your image." What are my options? We want you to be exceedingly happy with the quality of your product, so we warn you if we think there is a possibility that, based on what we know about the image, it might not print with the high quality we want to deliver. You can still proceed, and the image when printed may come out just fine. However, we want to be sure you're satisfied so we're being cautious for some of the larger sizes where the quality of you image could affect the results. What's the difference between deep and regular bars? With deep bars, your canvas will be wrapped around 1.5" thick wooden stretcher bars. It's a clean, modern look that's ready to hang. With regular bars, your canvas is wrapped around 0.75" thick wooden stretcher bars. 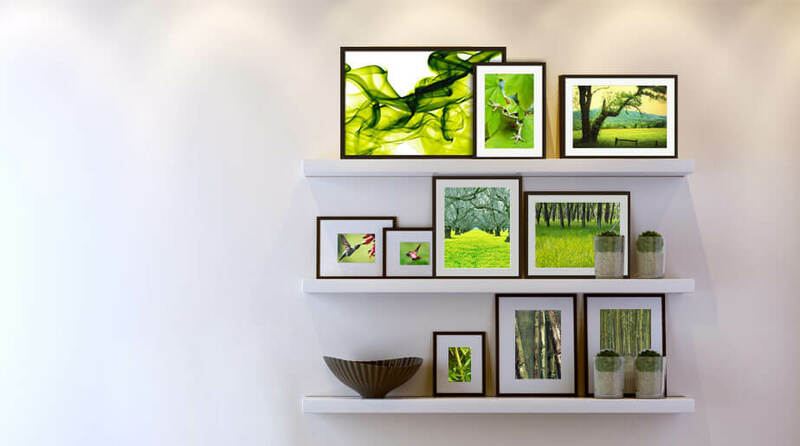 It's a good choice if you're planning to custom frame your canvas. Unlike photographs, canvases are three-dimensional. The sides of your canvas can either be an extension of your image, or a solid color. 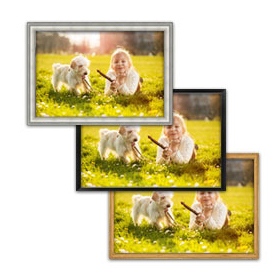 The gallery wrap option allows the edges of your image to continue onto the sides of your canvas. You can also choose a side color for the sides of your image. Black and white are always options. 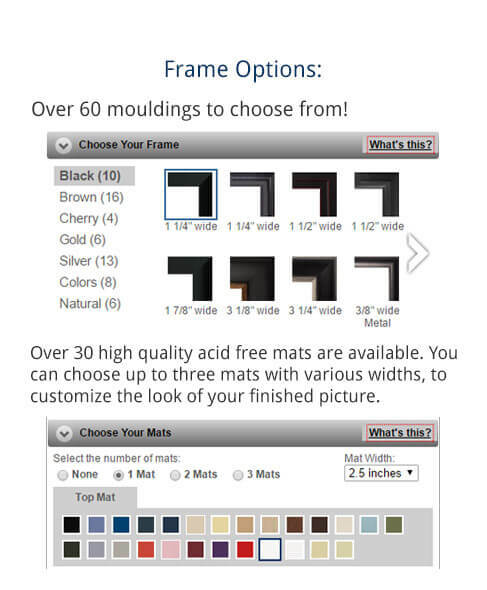 Or you can choose a specific color from our color options. You'll notice several custom framing options on your order form. We offer a 100% satisfaction guarantee. If you are not completely satisfied with your artwork, or if it arrives damaged, we'll fix the problem as fast as possible. You can return your canvas for an exchange or refund within 30 days from the date you received your shipment. Press the Browse button to choose your file, then click Upload Image. For best results, choose a high-resolution image.